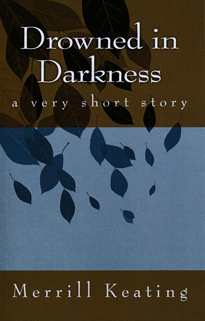 Merrill Keating originally wrote Drowned in Darkness: a very short story (2016) as a school project. It is a story about a girl named Annabeth and her friends who, while on a camping trip, find a mysterious stone coveted by dark forces. Keating is also the book's illustrator.